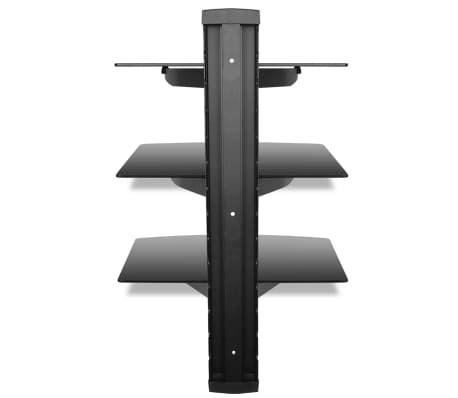 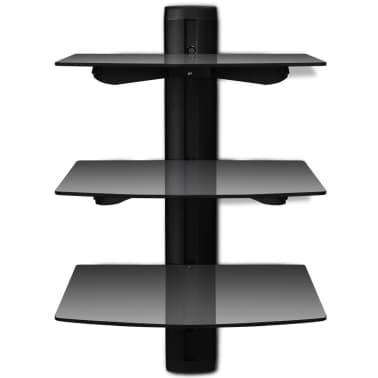 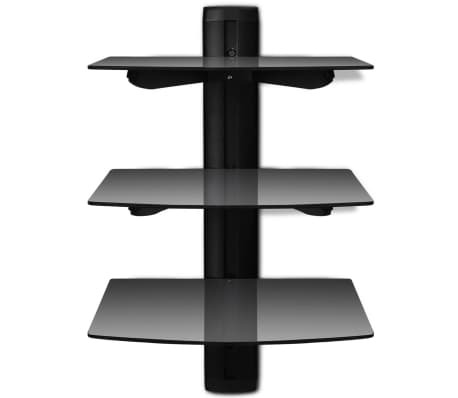 This handy entertainment stand features a solid and stable aluminum frame with a powder-coated finish and 3 all-black tempered glass shelves. 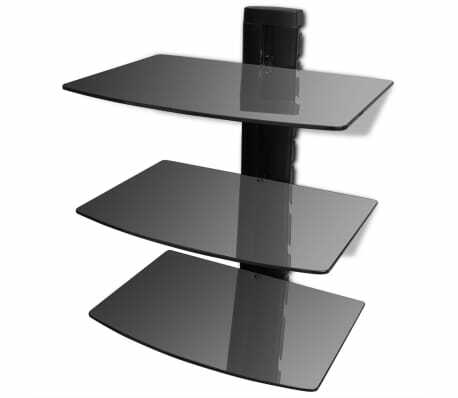 With its sleek, modern look, it will suit any decor. 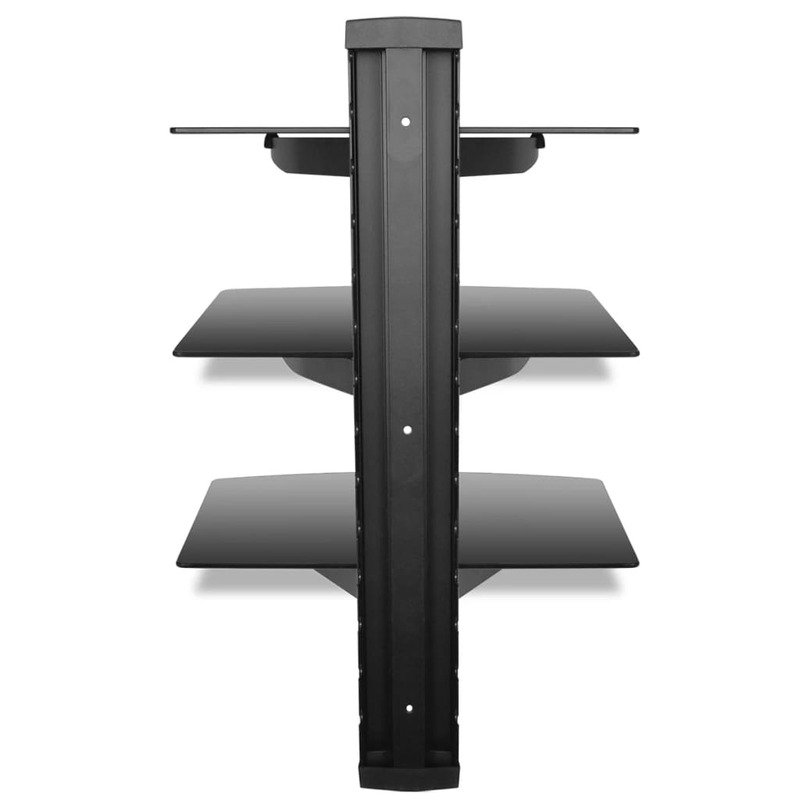 Thanks to the integrated cable management system, all the cables will be neatly hidden. 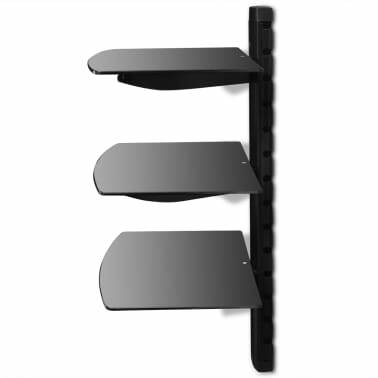 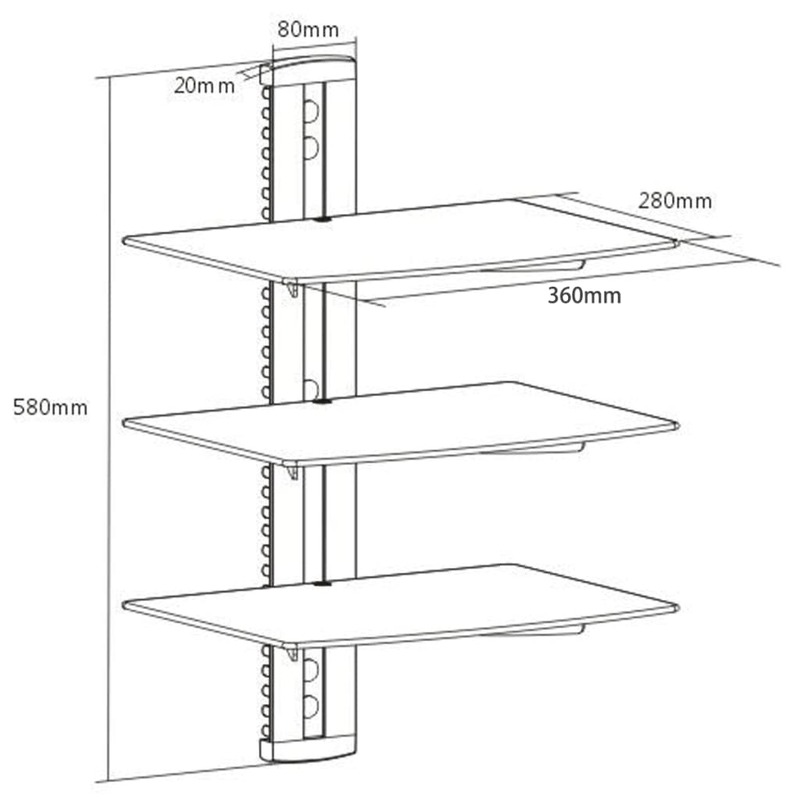 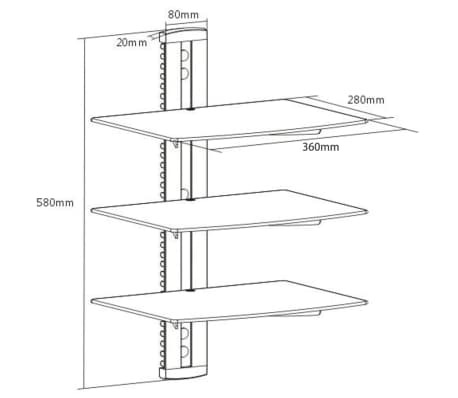 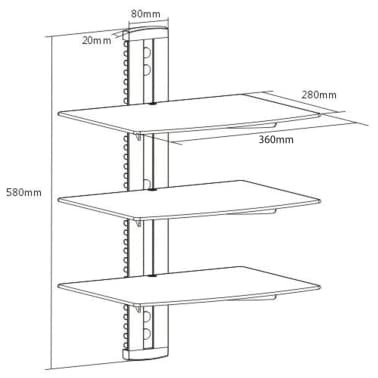 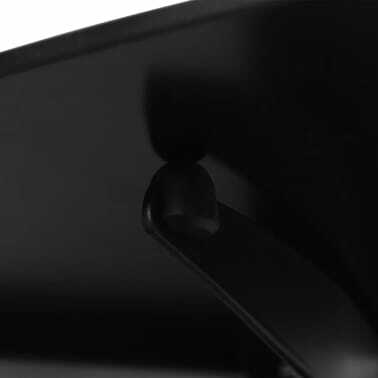 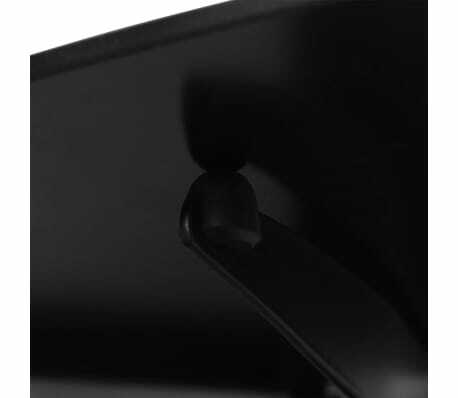 The height of the shelf can also be adjusted. 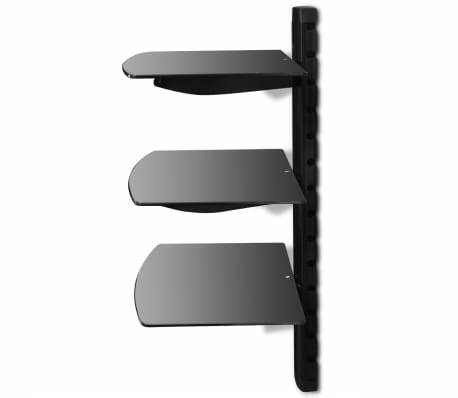 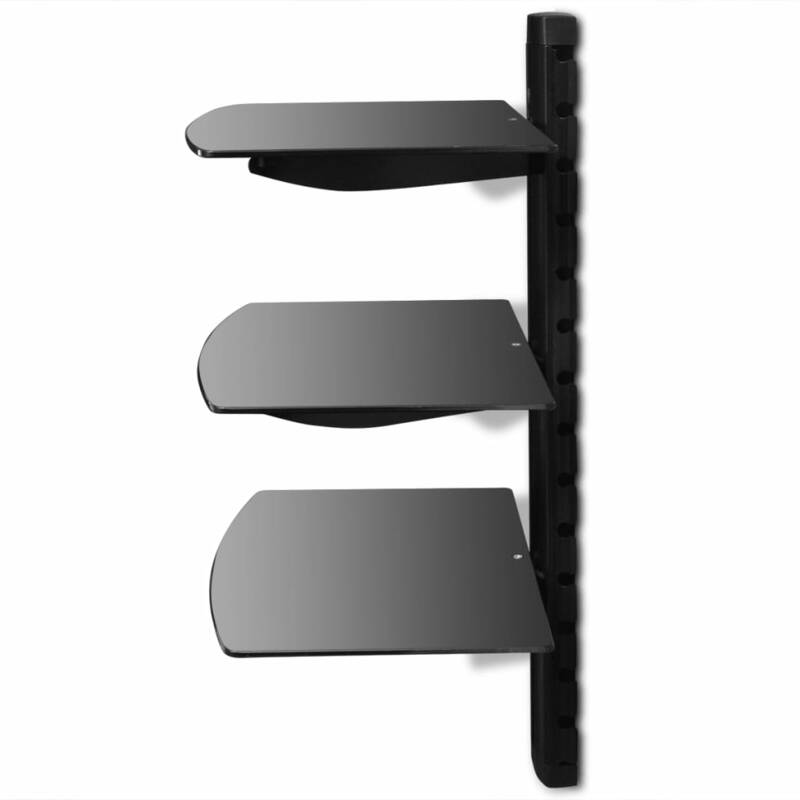 This floating shelf not only helps you to organize your devices or media containers, but also adds a touch of style to your room. 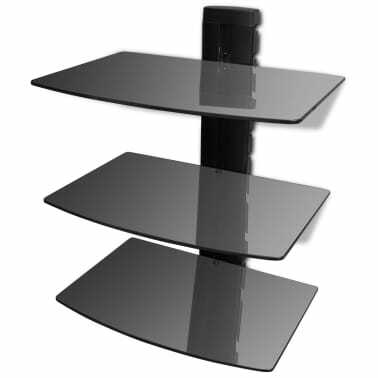 Delivery includes mounting accessories, and assembly is easy.